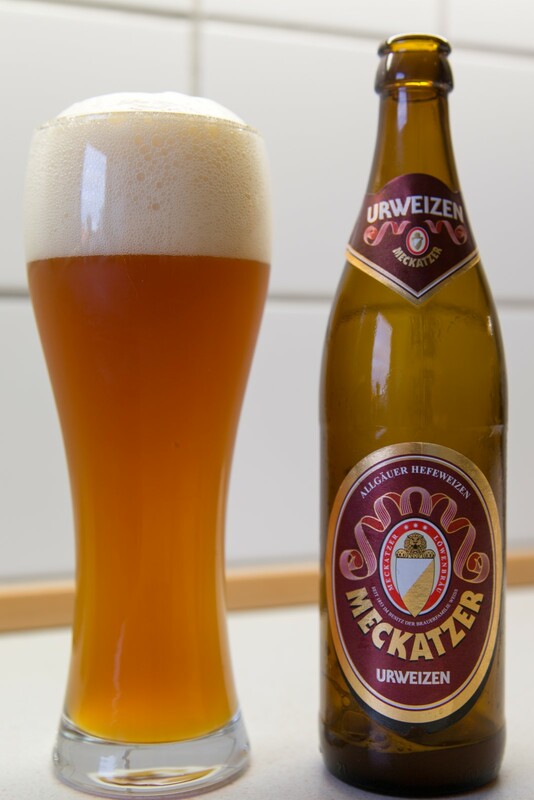 The brewery Meckatzer Löwenbräu goes back to 1738, the brewery was originally just named Löwenbräu but have to give up the name in the start of the 1900 hundred to the Munich brewery Brauerei Löwenbräu. Since 1853 the brewery has been owned by the Weiß family and today it is run by the 4th generation Michael Weiß. Very pleasing look with its unfiltered orange and red colour. Gigantic head with a fine foam top. Medium strength fruit aroma with a bit of play. Fresh and sweet fruit in the taste. Medium CO2 and it has a short after taste of wheat notes and a tad of darkness.